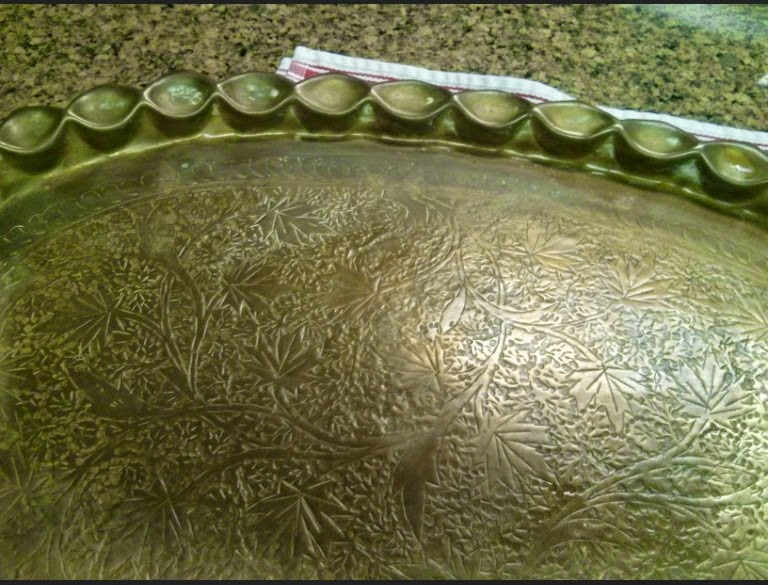 ...until I found an $8 tarnished brass tray that I couldn't leave behind. It was gorgeous, and I knew someone out there in the bloggersphere would have the information I needed to help me clean it up. One of the blogs I like is Dimples and Tangles. So I emailed Jennifer@Dimples and Tangles and asked her what to do with my tarnished tray. This cleaner was her suggestion. I found it at Lowe's. In texture, Bar Keeper's Friend is a little like Comet. It was really easy to use. I just followed the directions on the can, and I couldn't believe what happened. It worked! I'm using a tray in almost every room of my house (a post for another day), and this one landed on my coffee table. 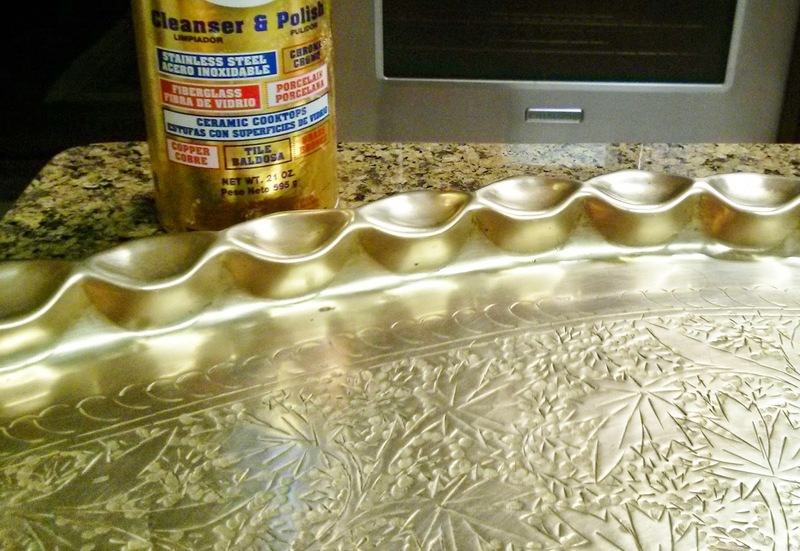 If you have some brass that needs a face lift, try this cleaner. I would just do a small area first to test it out. But I am pleased with my results. How do you feel about brass? Click on comments below and let me know.